1st Start Fridays starting up this summer!! 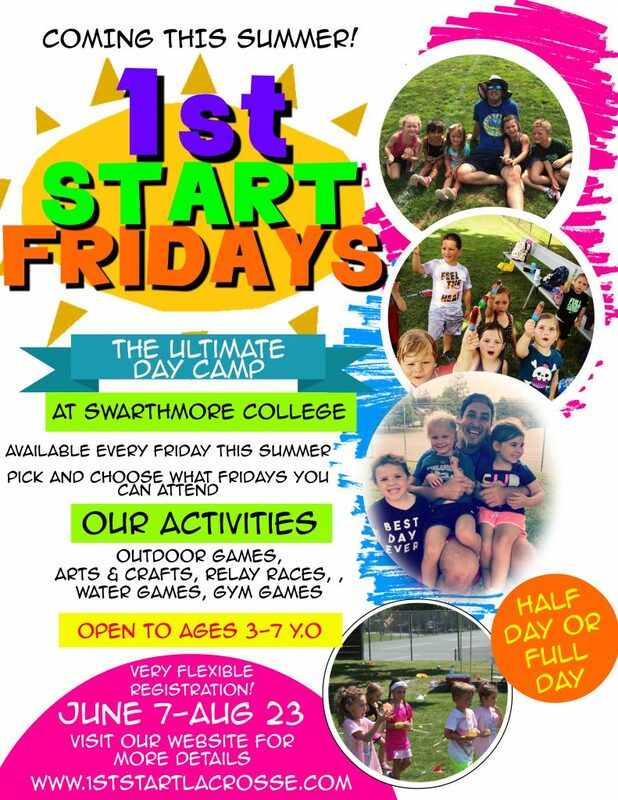 This summer have your child spend their Fridays with Coach John and his staff at Swarthmore College for a day of fun in the sun! 1st Start Fridays is all about options and convenience for the parents. Parents have the option to sign kids up for a half day (9-12 PM) or full day (9-3 PM). You DO NOT have to commit to every Friday this summer! You can pick and choose the Fridays that work in your schedule! 1st Start Fridays will run every Friday starting June 7 to August 30. 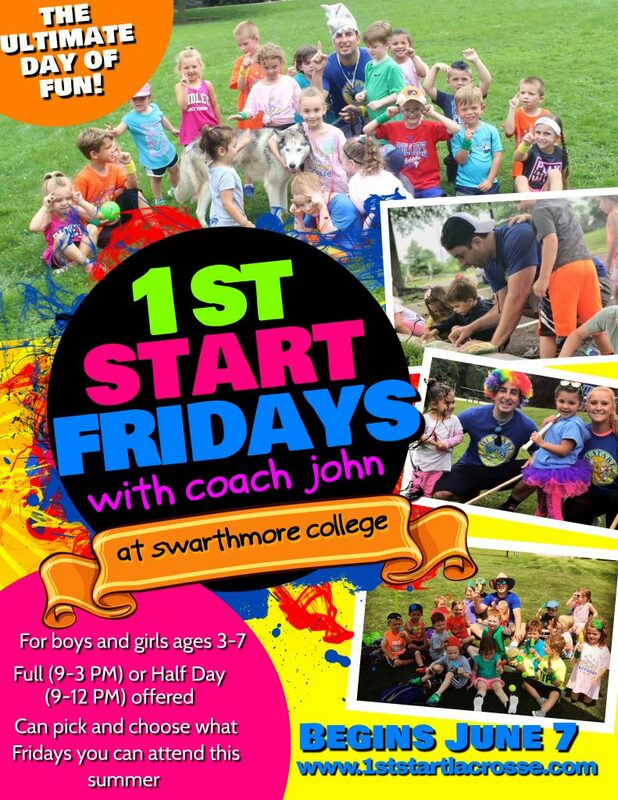 1st Start Fridays is a perfect opportunity for your child (boys and girls ages 3-7) to get out of the house every morning, get some fun outdoor exercise, and make some new friends! 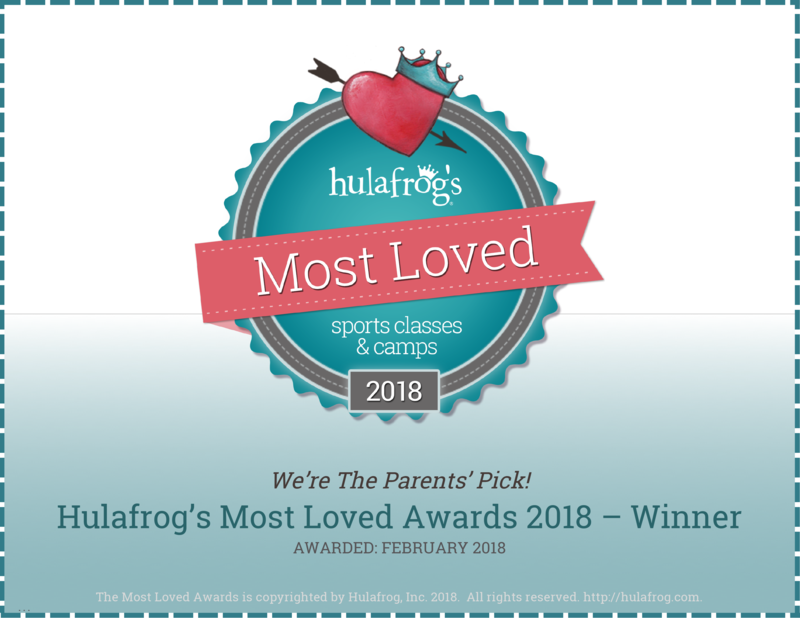 Games and activities will include: lacrosse, soccer, dodgeball, kickball, art activities, story telling, relay races, classic kid games such as capture the flag and manhunt, water balloon fights, and other fun gym games. Have your child kick the weekend off the right way and spend their Friday with crazy Coach John and his super fun staff! 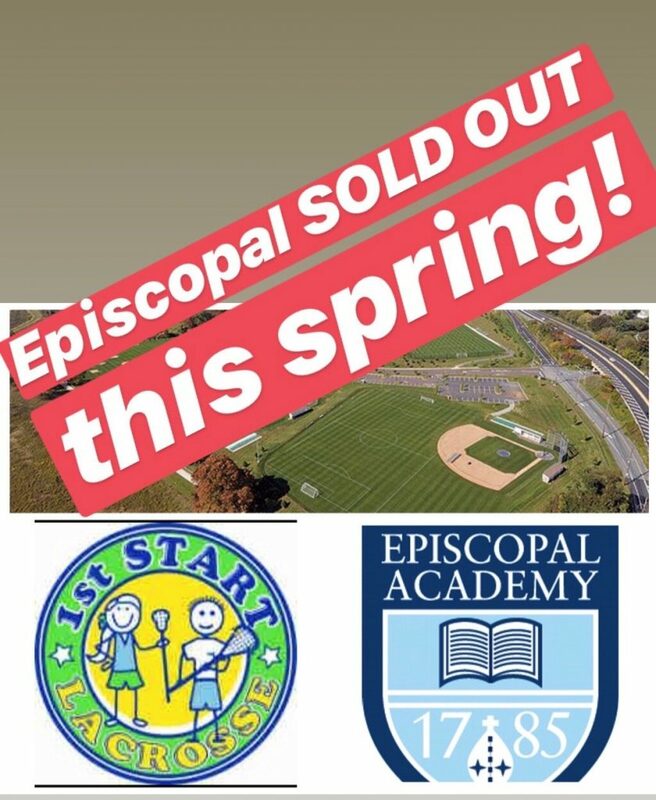 Episcopal Academy SOLD OUT this spring! 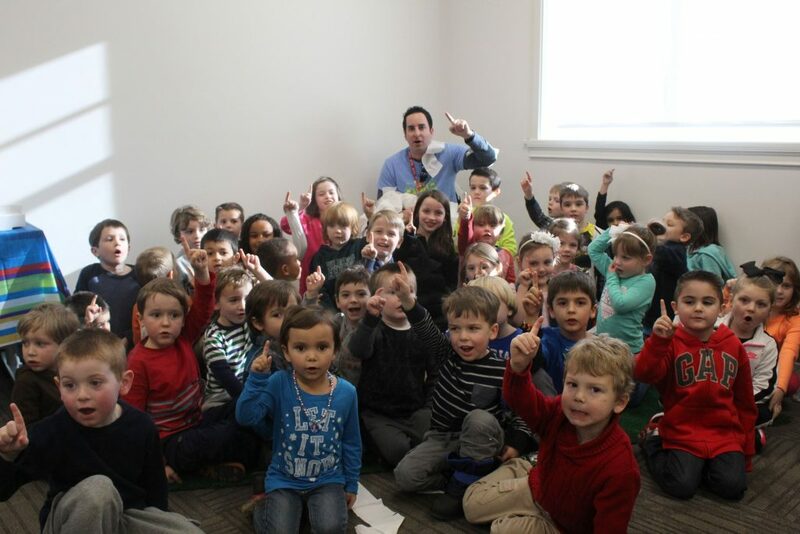 Our Episcopal Academy location has reached max capacity this spring! We still have some spots left at our Swarthmore College and Phield House locations, don’t miss out! 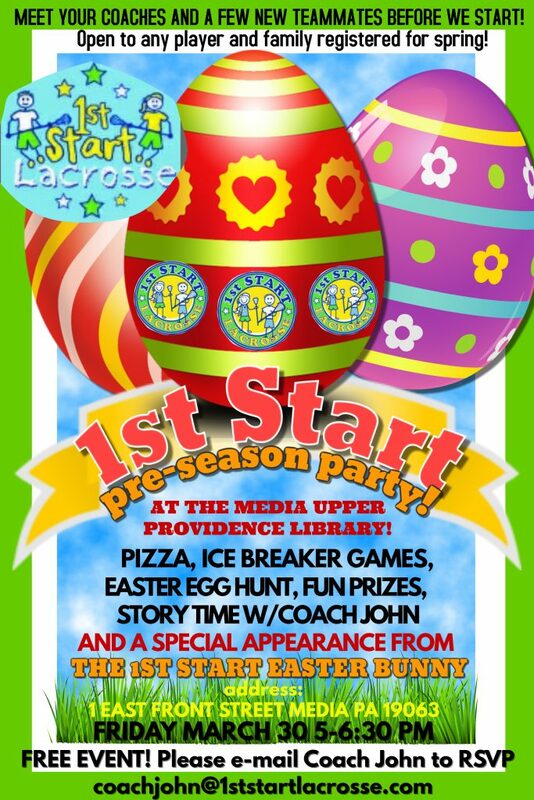 Make your child’s 1st Start at lacrosse one they will NEVER forget this spring! 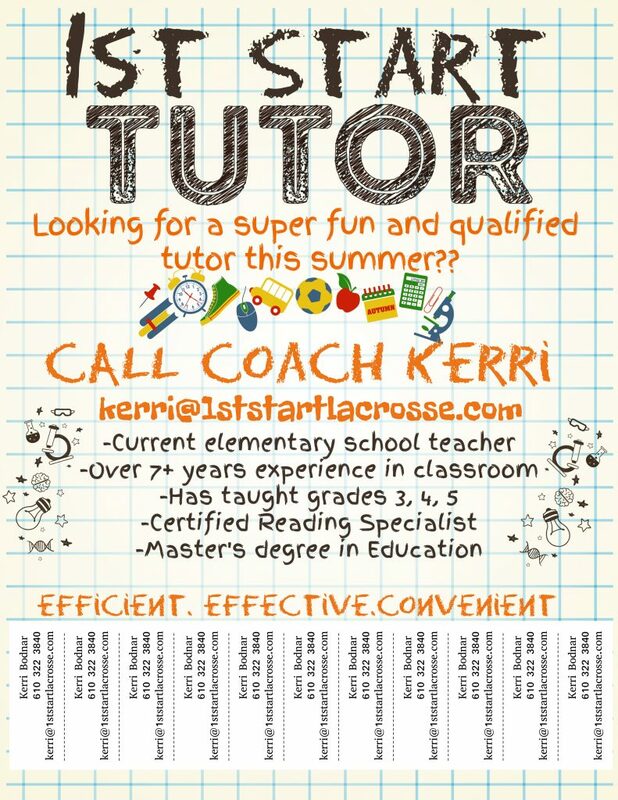 1st Start Tutoring now available!! Anybody out there looking for a super fun/qualified summer tutor?? Meet Coach Kerri! A teacher, mother, and dog lover extraordinaire! 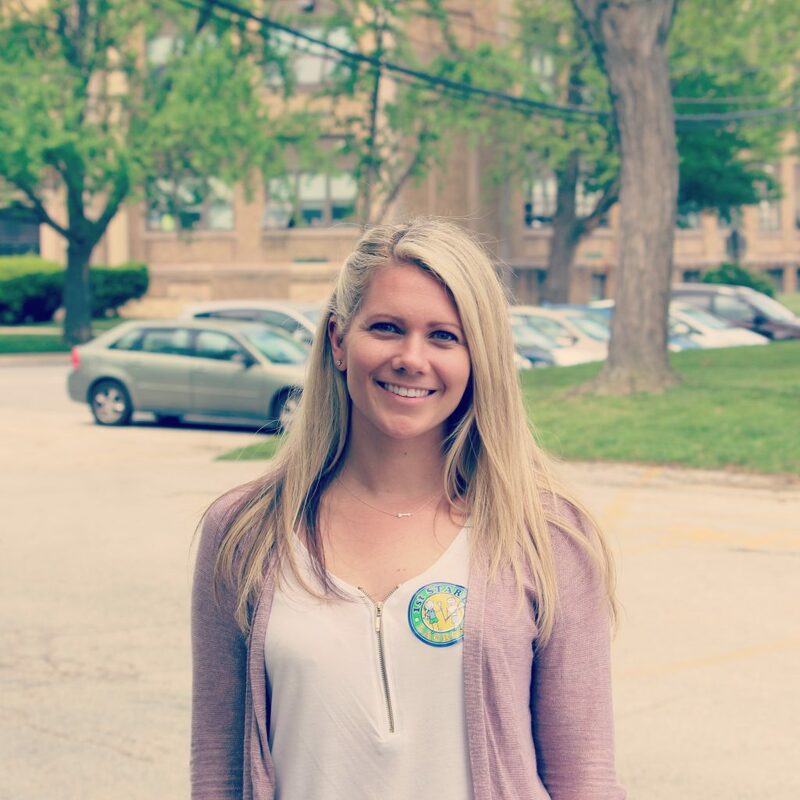 With over 7 years experience teaching elementary school, Kerri has taught various grade levels and loves working with kids. She earned a Master’s degree in Education with a Reading Specialist Certification from Cabrini University. Kerri is available for private or group tutoring sessions this summer for any kids trying to get some extra help in reading or math. Come out and meet your coaches before our spring season! The 1st Start Coaching Staff is hosting a special FREE meet and greet before our spring season starts! Come out Friday, March 30th to the Media Public Library and meet your new teammates and coaches! Our goal of the Meet & Greet is to eliminate any nervous little players when we start up on the field! We want all of our players to see how much fun our coaches are so they get pumped up to play! 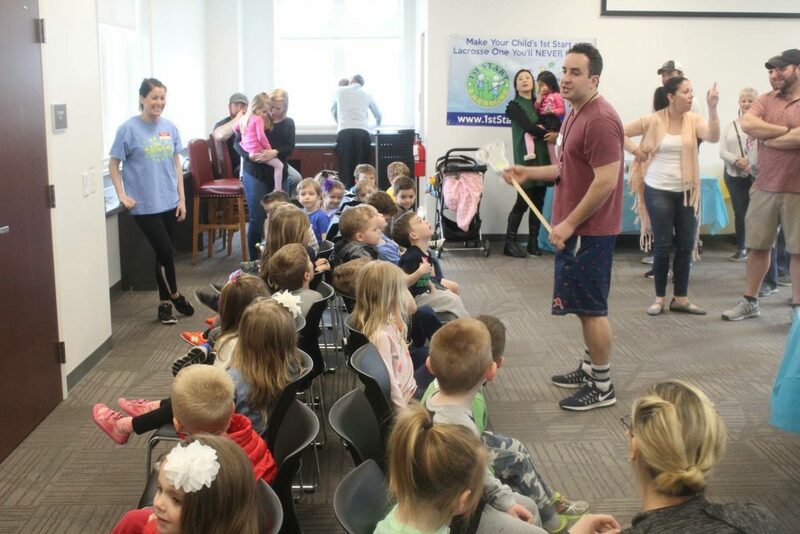 The 1st Start coaches have a super fun afternoon consisting of pizza, ice breaker games, a serious Easter Egg Hunt, prizes, and a few fun stories read by Coach John! We also have the 1st Start Easter Bunny making an appearance! This event is open to any of our families registered at ANY of our locations this spring! 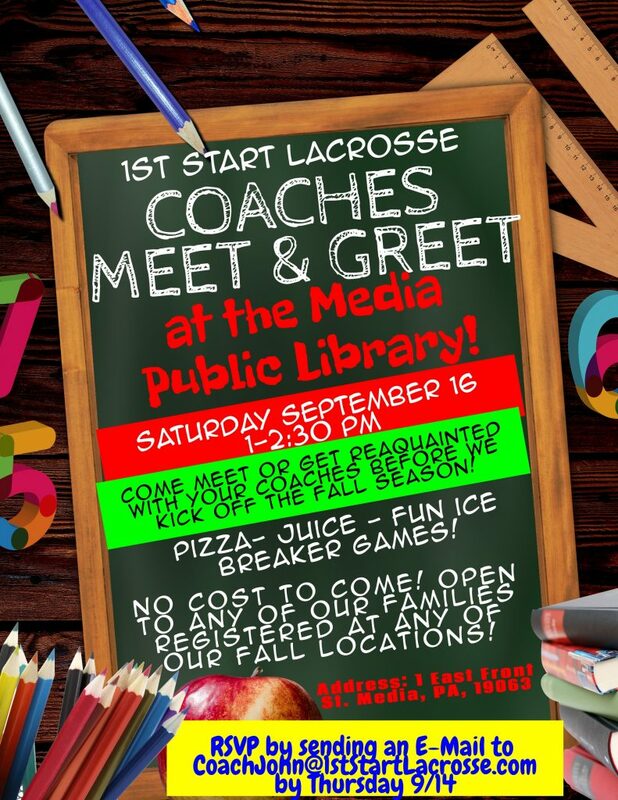 It starts at 5 PM on the 2nd floor of the brand new Media Public Library and will run until 6:30 PM. I know it’s a little far for our Phieldhouse and All Sports Center players, but it would totally be worth the drive if you’re willing to come! Make your child’s 1st Start at Lacrosse one they will NEVER forget this spring! 1st Start Lacrosse headed to 4 different locations this spring! Registration now OPEN! 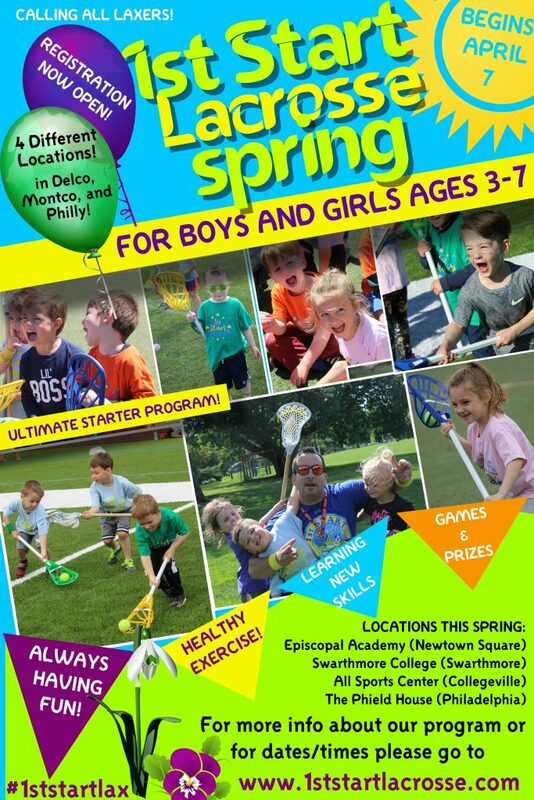 After a fun winter season, 1st Start Lacrosse is moving outdoors this spring to 4 different locations! 1st Start Lacrosse is a perfect program to introduce your children to the sport and make it a positive experience before they start playing competitively! Players (3-7 years old) will all receive a 1st Start STARTer pack and have the option of buying a 1st Start lacrosse STARTer stick! 1st Start Lacrosse headed to Collegeville this winter at All Sports Center! WHAT’S UP COLLEGEVILLE?? 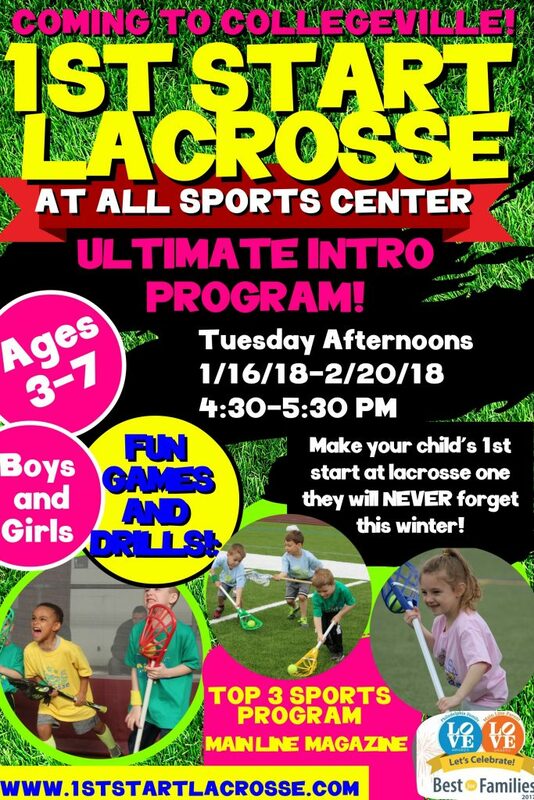 Pumped to announce 1st Start Lacrosse is headed out to the new All Sports Center on Tuesday afternoons (4:30-5:30 PM) starting January 16! Spread the word! Don’t miss out on the fun indoors this winter! Register here! 1st Start Lacrosse coming in hot this fall! 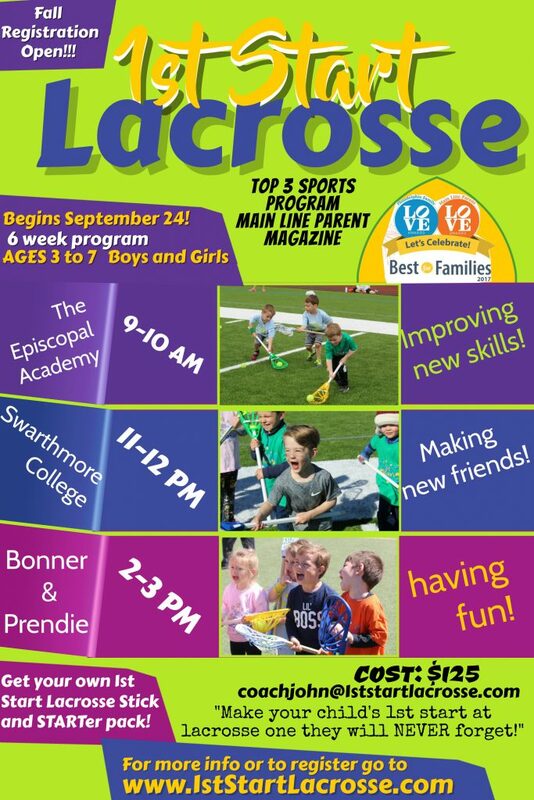 Our 1st fall session at Swarthmore College (11-12 PM) is now sold out! To register for any of our fall sessions please CLICK HERE! 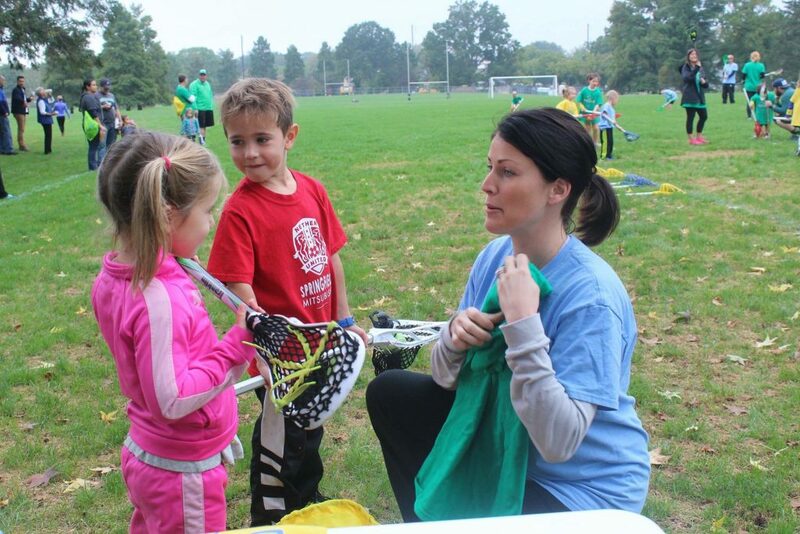 Make your child’s 1st Start at Lacrosse this fall one they will NEVER forget! Stefanie Merino added to our summer coaching staff!! We have some special news to announce! Let’s welcome Stefanie Merino to the 1st Start Team this summer! Expect to see Coach Stef at all of our Swarthmore and Episcopal Sports camps in June and July. Stef is a veteran teacher at Penn Wood High School in Lansdowne, PA where she works with Coach John! She just wrapped up her Master’s in Education at Cabrini University with a Reading Specialist certification. Coach Stef has a heavy background in soccer, with over 17 years of playing and coaching experience. She was a 3 year starter and captain at CB East High School, and went on to become a club soccer LEGEND at East Stroudsburg University. If you ask around out there you’ll still hear the chatter about her legendary throw-ins. Our players have no idea how much wilder this summer got now that Coach Stef is on board! Take a look at our summer camps and register today! 1st Start in the running for Best Sports Program on the Main Line!! 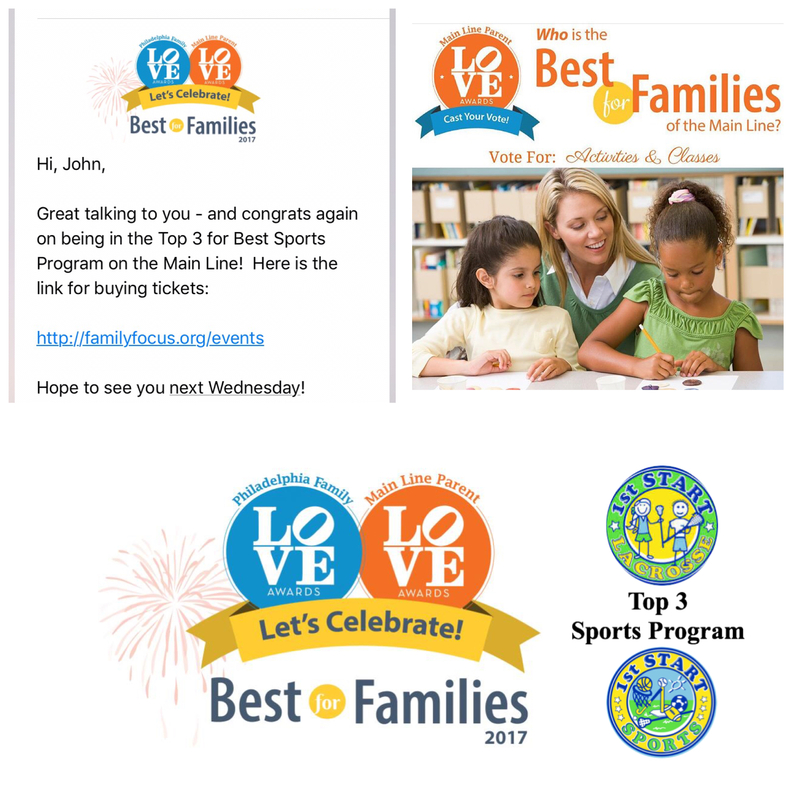 We’re very proud to announce that 1st Start has made the Main Line Parent Magazine’s Top 3 for best Sports Program on the Main Line! The winner will be announced next Wednesday (5/3) in Ardmore at the 2017 Love Awards. It’s a huge honor to even be in the Top 3 and we wanted to thank Main Line Parent Magazine for recognizing us. We also wanted to give a huge thank you to everyone who has supported us so far in our 1st year! We’ve got some big plans for the future so stay tuned!